While eye injuries may not be the first injury that you think of when contemplating things that can go wrong at work, workplace-related eye injuries are actually quite common. According to the Center for Disease Control and Prevention, 2000 U.S. workers sustain a job-related eye injury that requires medical treatment every day in this country. Of these injuries, about a third require a visit to an emergency room and over 100 injured workers every day have to spend at least one day out of work recovering. Workplace-related eye injuries can have a devastating impact. 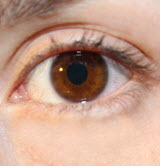 Because of the sensitive and unique nature of eyes, damage to them can difficult to repair and lead to serious and long-lasting impairment. And while you may instinctively think that workers who suffer severe eye injuries obtain workers’ compensation benefits easily, those who lose an eye as the result of a workplace injury in Florida are typically awarded benefits that fall well below the national average. This demonstrates why it is so important to obtain an experienced workers’ compensation attorney who can help you ensure that you receive the benefits you are entitled to. Why Can Eye Injuries Lead to Such Serious Implications? Because our eyes are an inherently important part of our bodies. The ability to see is something that most of us don’t contemplate until, tragically, an eye injury occurs and this ability becomes jeopardized. But truthfully, vision is an important sense that many people utilize in their workplace environment. And unlike many other simpler injuries, an eye injury cannot simply be bandaged up with a bandaid. What Are Common Causes of Workplace Eye Injuries? What Are Symptoms of a Workplace Eye Injury? What Protective Measures Can I Undertake in My Workplace? Always wear provided protective equipment such as spectacles, goggles, face shields or welding shields. Follow training procedures and comply with any safety measures outlined by your employer. Keep an eye out for any hazards you observe at your workplace and alert your manager. Have You Suffered an Eye Injury or Loss as the Result of a Workplace Injury? Then we can help. We sympathize with what you have suffered and we can help you recover workers’ compensation benefits while you focus on recovering from your eye injuries. The experienced Miami workers’ compensation attorneys at Payer & Associates will help ensure that you maximize your entitlement to workers’ compensation benefits. Begin by contacting us today to schedule a free consultation.